Laptop Bags - improving posture on the move! Carrying a bag over one shoulder causes pressure and pain on the shoulder and can lead to a hunched posture. Our laptop bags remove this discomfort by evenly distributing the weight over both shoulders with a padded laptop rucksack, or by taking the weight off the shoulders completely with our ergonomic rolling laptop cases. Our range of laptop bags are designed to relieve the strain of carrying around your laptop and work equipment on your daily commute, making them ideal for mobile workers and business trips. Designed to relive the strain of carrying a traditional bag over one shoulder, we offer a range of features on our laptop bags to ensure comfortable use. With generous space and extra storage pockets, our laptop bags are not only comfortable but practical too! 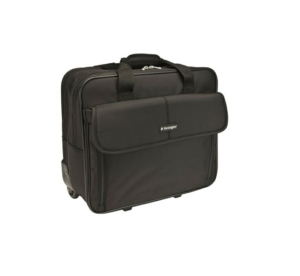 Within our carefully selected laptop bag range, we offer rolling laptop cases - ideal for business travel and overnight stays due to the storage space provided. 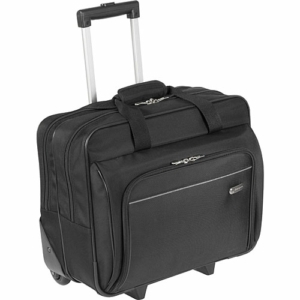 With extendable handles and easy rolling castors, these roller cases ensure minimum strain when pulling and avoid any pressure on the shoulders. 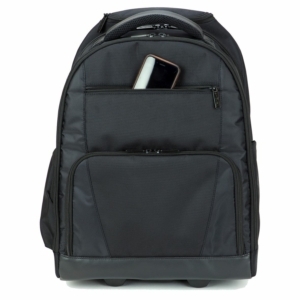 Our laptop backpacks such as the Smart Design Backpack distribute weight evenly across both shoulders. With padded shoulder straps, handle and back panels, they provide maximum comfort when carrying. 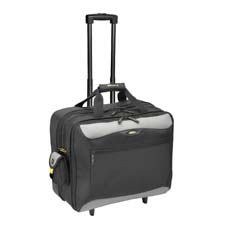 A combination of the rolling laptop cases and backpacks is the rolling backpack which offers both rolling wheels and dual-shoulder carrying. This is quickly changed from a roller case to a backpack within seconds - a fantastic solution to daily commuters, portable workers and business travellers! Order your laptop bag from us today!